Cire Trudon Abd el Kader (Moroccan Mint Tea) Candle is like a wind of freedom coming all at once from the Mascara coast and down from the mountains bringing in its foolish race the green scents of fresh mint, the rashness of fights , the hot and peppered air of ginger and the perfume of tea and tobacco from the Ouled Nail tribe. Fragrance Notes: Head: spearmint, lemon-yellow, blackcurrant bud, apple, ginger, clove. Heart: jasmine. Bottom: vanilla. 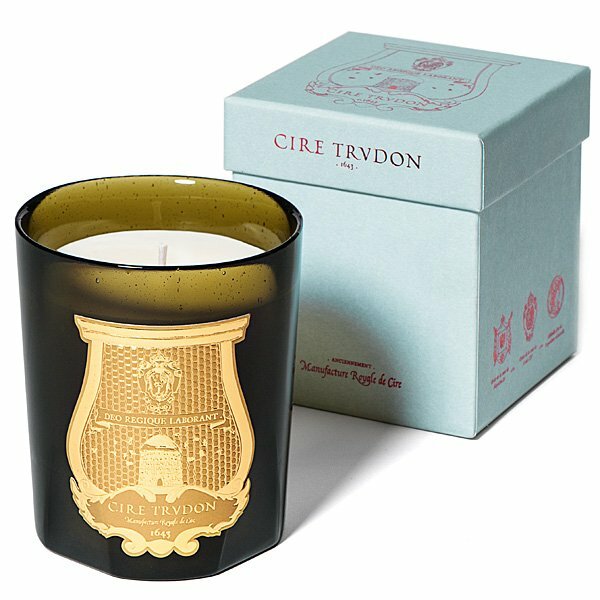 Cire Trudon Candles have been referred to as the "Rolls Royce" of candles. The oldest French manufacturer produces the world's most prestigious candles of the highest quality with hand blown glass and pure vegetable wax. Bring home a Abd El Kader Candle today!